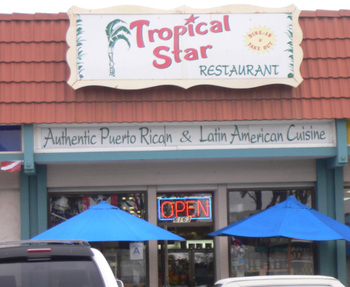 Tropical Star, another "strip mall treasure" is located right next to Noble Chef. 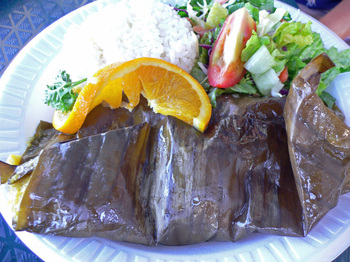 This combination Market and Restaurant serves up a large variety of Latin American Cuisine. 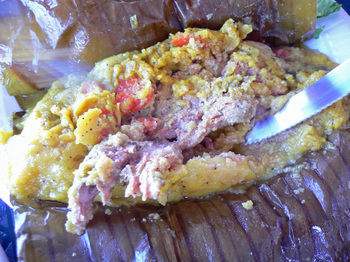 Over the years, I would usually just get a "Cuban" or "Bauru" (In this case Hot Ham and Cheese) sandwich($5.95). But recently we dropped by a few times and kind of "spread our wings" a bit. 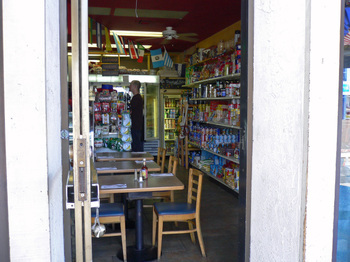 This little market cafe serves up a large variety of food. 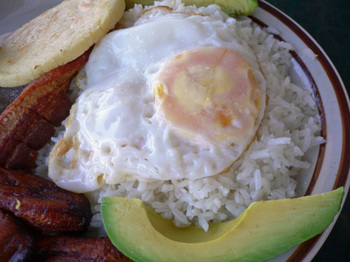 The dish comes with Black Beans, sweet Fried Plantains, and Rice. 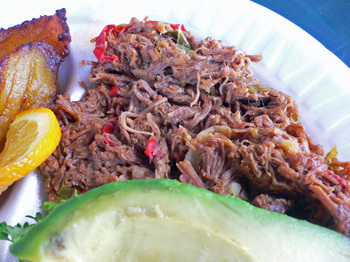 The Ropa Vieja(shredded braised beef) was a bit on the "dryer" side then what I'm used to, though the flavors were very good. 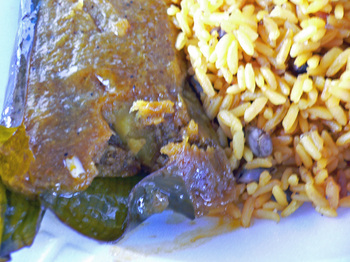 The plantains were nicely fried, both starchy and sweet, though not a cloyingly sweet as other versions I've had. 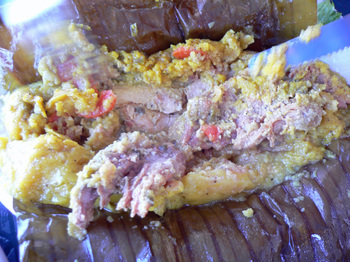 These Puerto Rican style grated banana "tamale", is stuffed with pork, wrapped in a banana leaf and boiled. 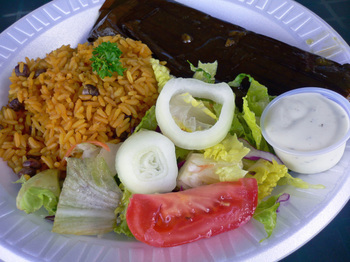 It is served with rice with "Gandules"(Pigeon Peas) and a green salad. The rice was nothing to write home about. The Missus loved the flavor of the pastel and was very happy to find out that you can order them at $3 a piece, or a dozen for $30. 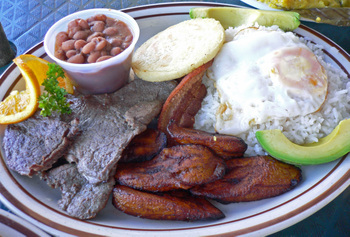 The Bandeja Paisa($12.95), a carb and protein loaded plate in the style of the region of Paisa. 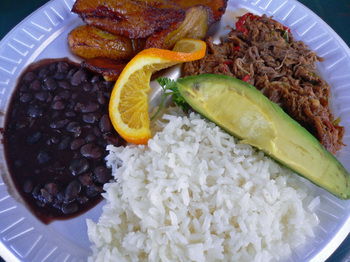 The plate consists of red beans(good - I sensed a slight "porky" flavor) come with a cornmeal cake(reminded me of a pupusa for some reason), sliced beef(terrible; tough, dry, bland), chicharron(thick cut, almost like pork belly - yum! 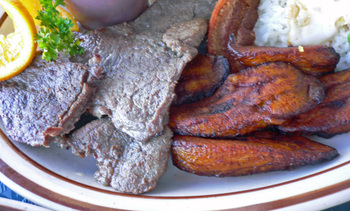 ), and sweet fried plantains. And we mustn't forget the fried egg on rice. Okay, are you ready? 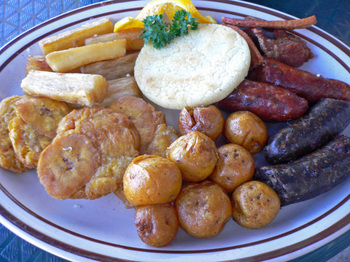 Chorizo, Morcilla(blood sausage), Chicharron, Patacones(Twice fried green plantain patties - fairly bland), Fried Yucca(crisp on the outside, starchy on the inside - carb-o-licious), Cornmeal Griddle Cake, and Papas Criollas(roasted yellow potatoes - more heavenly carbs). Whew! 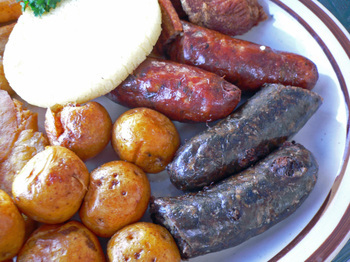 The morcilla was the more flavorful and moist of the two sausages. The Chorizo was rather dry, and not much better, or worse then any I've had. 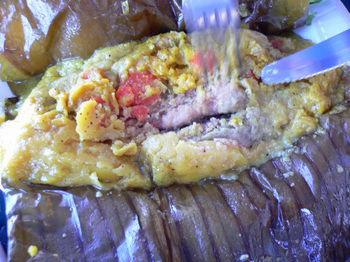 Interestingly enough, on the bottom of the tamale is a layer of those yellow potatoes, giving the tamale a nice starchy flavor and texture. The Missus also discovered what looked and tasted like capers. As you can tell, she really enjoyed this! Notes on Tropical Star: This is a Mom and Pop operation, so there can be a wait for your food. The prices do seem to be a bit on the high side for a little market and take-out operation, but the food is pretty good. 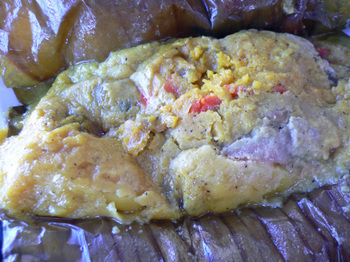 As with most restaurants that attempt a far ranging and diverse menu, not everything will be great. Overall, Tropical Star is worth a try. Open Monday - Saturday 11am - 9pm, Closed on Sundays.